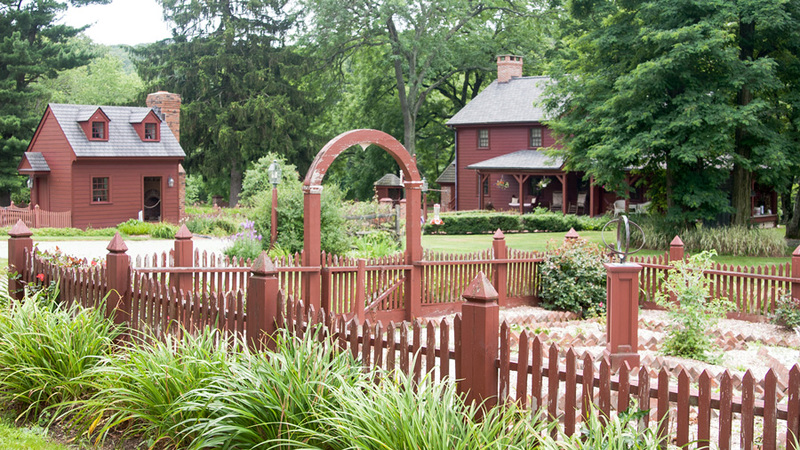 Not your ordinary barnyard, Orchard View is more like a historic homestead. 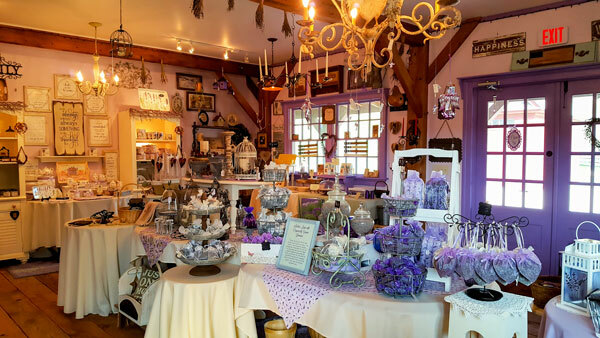 Orchard View Lavender Farm is the latest chapter in the story told by ten acres of land along Karrsville Road in Port Murray. 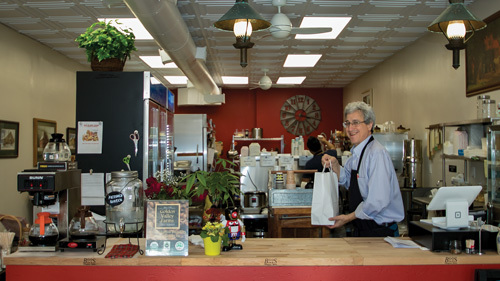 Jim Hamway, who grew up around the corner, bought the parcel when it came up for sale in 1989, having fond boyhood memories of playing in the fields and fishing in the pond. An accomplished builder, he began renovating the old house on the site, and was astonished to discover that it was originally a log home that dated to 1765. Encouraged by the property’s heritage, Jim not only meticulously restored the home, but began adding buildings inspired by his admiration for the work at Colonial Williamsburg. Stately trees rise above a manicured lawn that stretches below the restored home, with barns, courtyards, gazebo, even a summer kitchen—all in the familiar classic architecture of early America—realizing Hamway’s vision of the ideal home. 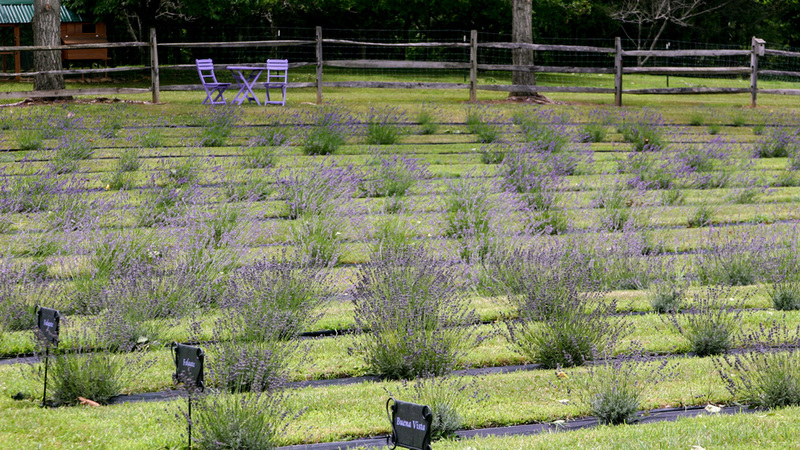 Two years ago, Jim and his wife, Monica, decided that their life would be even better with lavender. 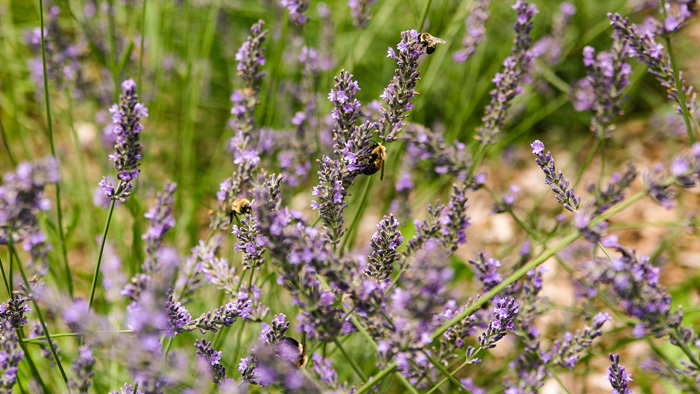 A classic, old-world flowering plant, lavender conforms perfectly with the ornamental taste of Orchard View, whose fields provide full sun, a well-drained rocky slope and a soil easily adjusted to the acidity most hospitable to the shrub-like perennials. Eight varieties have established themselves at the farm, all of which will grow to maturity at three years. Already, however, yet another building has risen to house a complete array of lavender products. Culinary uses are represented by iced tea, organic lavender honey, brownies, cookies, salts, peppers and sugars. There are lotions and bath salts for the body, as well as sachets, candles and dried bundles. Soon all of these products will originate in the fields just outside the shop’s doors. 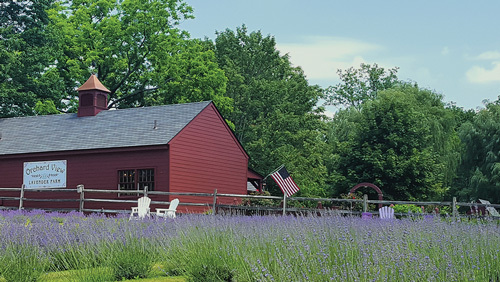 Beyond browsing in the shop, visitors are invited to bring a picnic, explore the property, take some pictures, and learn a little about lavender! Orchard View Lavender Farm is located at 101 Karrsville Road in Port Murray. Visit them On Fridays, Saturdays or Sundays, 10am - 5pm. For more information, check their website or call 201-341-8147. Bring your camera; its not hard to get some nice photos! 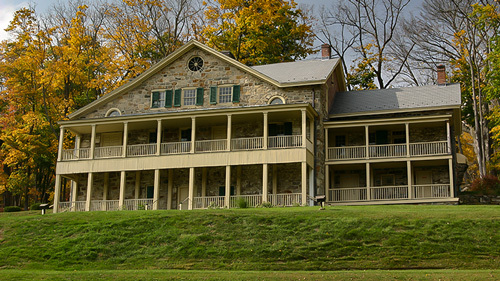 Restored c.1754 stone ironmaster's home associated with c.1741 Oxford Furnace.is open first and second Sundays, 1-4pm, for tours through Colonial and Victorian rooms with costumed docents. 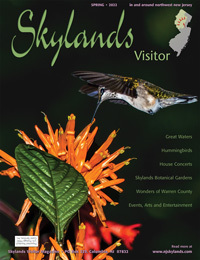 There are special events throughout the year as well as programs for schools. Sunday concerts on the manor lawn are a favorite during the summer.